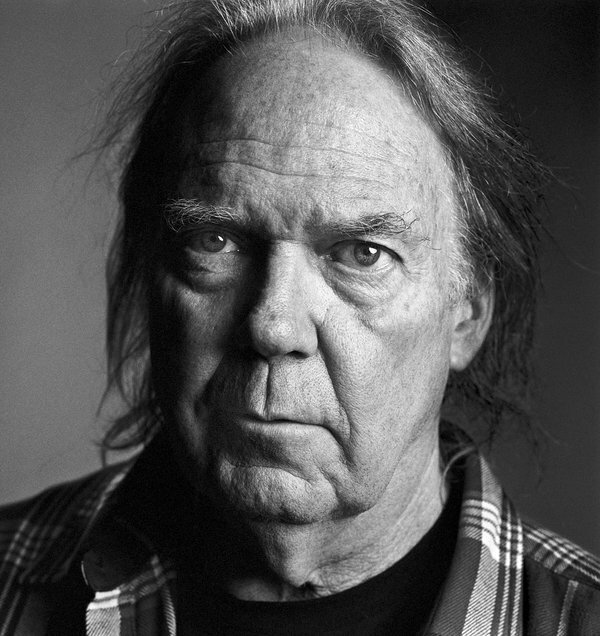 A very, very major profile of Neil Young on the other NYTimes.com by DAVID CARR. That would be The New York Times. It is a must read and preview of the upcoming memoir “Waging Heavy Peace”. “I work for the muse. "Young says much of his current battle is to be a person good enough to be worthy of his family’s love." The article contains many rare photos never seen before (by many but not all) which presumably will be in the book. So here’s the weird thing: when I got to his ranch, where he was waiting for me, he could not have been more ready to chat. 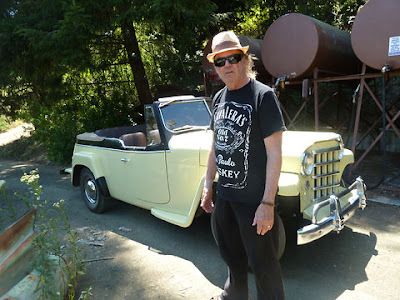 I hopped in his weird little car and we went driving down into the valley, a chunk of which he owned, and he was forthright, easy to talk to and charming in a very plain-spoken way. Riding in the passenger seat as he talked, I had flashback to “Journeys,” Jonathan Demme’s film about Young that includes a lot of driving around and talking. I snapped some photos along the way, but I wish I had just held up my iPad for a minute or two and made my own little movie to capture what it was like to motor around this odd landscape of redwoods, rusting cars and roving animals. Interesting interview, very well done. Young displays the characteristically curious childlike mind of a free thinker and an artist, the kind of man American conservatives instantly mistake for a liberal and American liberals instantly mistake for a conservative. I saw Neil Young in concert over forty years ago. I still have the old vinyl records. As I recall, the concert began with him sitting calmly in a wooden chair on the stage with an acoustic guitar singing for me and about twelve thousand other people. Sort of mesmerizing...quiet and beautiful. My own brand of music is jazz but I love art and music of all stripes. every photo included with the article I've seen before, with the possible exception of the one of Neil and Rassy. Oh, the shot of the Ranch is a new one snapped to accompany the article. Fair enough on the rarity of the photos. Post updated. We'd never seen the Pegi & Neil & kids photo before. Where did you see that before? When did Neil sell a piece of his ranch? I AM going to buy this book!!!! Lots of never before seen photos??? GREAT!!!!! What a wonderful profile. Our world is a better place with Neil young in it. Great article. And the comments are fun too. Nice links back to Thrasher's Wheat in that author's blog post too! Well, now we have an answer to the pot question. He quit last year! With that in mind, it's interesting to hear how his not toking has affected the songs and performances, knowing that he recorded the new album un-stoned. I suppose he did Americana straight too, but it's a cover album, so doesn't count as much. Honestly, I find a couple tracks on it very psychedelic and primordial, so if that's any indication of the effects of quitting, I'll posit that it makes no difference at all. Uncut magazine has a review of Psychedelic Pill in their next issue: "...and, last but not least, Neil Young & Crazy Horse’s extraordinary “Psychedelic Pill”. It’s the longest studio album Young’s ever made, it includes his longest ever song (“Driftin’ Back”: 27 minutes, 37 seconds), and I think a few of you may have been waiting for the old dog to make another album like this for quite a while". He quit pot and booze. Now he really addicted to psychedelic Pills or Soap. Or both. Is the signed one on Amazon $1500 that goes to the Bridge School? After reading the article, I flashed on "Ramada Inn" as it deals with the issue of sobriety (as well as other things). I don't think it literal or autobiographical, but I suppose he could have incorporated his experience and taking off with it. @WLAG guy. Your spirit already walks like a giant.